Caitlyn [Tier 2 Marksman] - Post-nerf Caitlyn performs poorly on the charts, sporting one of the two lowest win rates of any marksman on the rift. Not only did Riot nerf her early lane phase power, but with the influx of tanks and assassin buffs on the rift, marksmen are weaker in general if they're not late game hypercarries like Twitch or Draven. Kassadin [Tier 1 Mid] - Kassadin's one of those champions that can snowball a game by himself. However, if he doesn't have good roaming pressure his team can quickly be baited into a 5v5 ARAM mid against high waveclear, long-range champions. As long as this doesn't happen though, Kassadin is an extremely powerful laner that can dominate the rift once he hits level six. 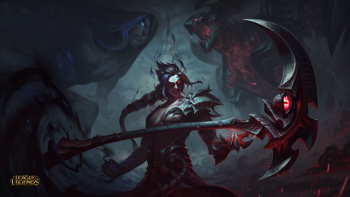 Kayn [Tier 1 Jungle] - The Kayn effect is starting to show. One of the top two most played junglers directly under Lee Sin, Kayn and Lee sport a bottom four win rate in solo queue. This results in over 60% of the junglers in the game having an above 50% win rate. This doesn't deter players from picking him though! Despite the fact that most people don't do well with him, he's certainly still a power pick if you can snowball and feels great once you get going. Gotta warn you though, even players with over 200 games on him are still at a sub 50%. Lee Sin [Tier 1 Jungle] - Similar to the Kayn effect, the Lee effect is also extremely strong in the current meta. As the most played jungler in the game, Lee always has a major impact on other junglers across the board. However, unlike Kayn, players with over 50 games as Lee start seeing some serious fruits to their labors. In the current meta, Lee still continues his usual damage + tank build, but if you get bored or really ahead, his full lethality build is also remincent of the old Bloodthirster builds. Maokai [God Tier Top] - Even after his nerfs, Maokai continues to be very powerful as a top laner. He doesn't get quite as much percentage damage as before on his sapling toss, but sapling bush cheeses are overrated anyway. The downside is that he does get a little bit of a reduced objective control around Baron, since with tanks leading the way through unwarded territory his saplings get a lot of percentage health damage in. Orianna [Tier 1 Mid] - The constant staple of mid-lane, Orianna received quite a substantial nerf this time around. Although the damage nerf doesn't look particularly big and she also got a slight quality of life buff, the damage nerf makes it more difficult for players to reliably waveclear early on without tossing in a few more auto-attacks for a clean clear. The shield reduction also makes it more difficult for her to punish trades, resulting in a much more balanced Orianna. Quinn [Tier 1 Top] - In this world of lethality, it's a surprise that Quinn hasn't meandered back to the top yet. Part of this is likely due to the tank meta setting in, but she still does extremely well if she cheeses hard during the early levels of laning phase. With her massive roam potential, Edge of Night + Youmuu's + Duskblade is absolutely bonkers on her. Taliyah [Tier 2 Mid] - Taliyah may not have needed much of a nerf, but the slight increase in her Threaded Volley [Q] mana cost does reduce her ability to punish opponents early on in the game for her early cheese.